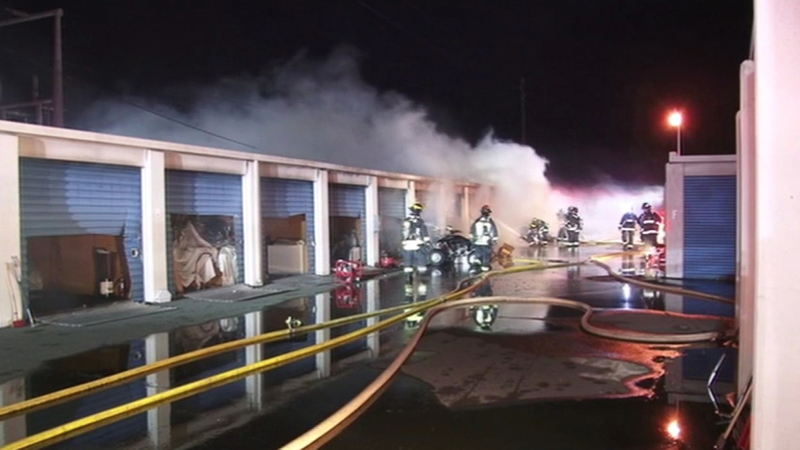 ALAMEDA, Calif. (KGO) -- An overnight fire badly damaged Allsafe, a storage facility located near Singleton Avenue and Main Street in Alameda. Seven units were burned. Nearly two dozen sustained smoke damage. No injuries were reported. Firefighters say many of the units were packed with flammable material, making their jobs even more difficult. It took two hours to put out the flames.